A top Russian Orthodox cleric has praised the Russian people for disrupting Stalin’s plan to change the historical course of Russia, but at the same time called for not all Soviet history to be painted black. “I doubt that Stalin wanted Russia to return to its roots, he sincerely lived by the ideals of the World Revolution. But the logic of history, the conscience of the people forced him to start Russia’s return to its roots,” said the head of the Holy Synod’s Department for Church and Society Relations, Vsevolod Chaplin at a discussion dedicated to the 60th anniversary of Stalin’s death. The panel was held at the discussion club of the World’s Russian People’s Assembly – the international NGO that specializes in development of the Russian political thought. The Russian Orthodox Church enjoyed a privileged role in the Russian Empire, but after 1917 revolution the Bolshevik government declared a secular state and seized all of the church’s assets, including land and church buildings. The move caused opposition in the clergy leading to repression that ended only after the Soviet Union's entry into World War II as the state needed religion to boost people’s morale. Vsevolod Chaplin told the discussion club that it was the Russian Orthodox Church that appeared to be stronger than Stalin. 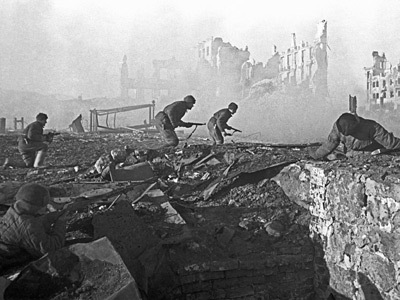 “The martyr’s feat and the resurrection of the Church and everything that has happened after it showed that our people, its spirit, the logic of its history and its way are stronger than the strongest force and more powerful than the most powerful leader,” Chaplin was quoted as saying by the Interfax news agency. At the same time Chaplin said the Soviet period of Russian history was not uniform and therefore could be assessed very differently. Chaplin said during the discussion that the harmful theories and philosophy were all imported from abroad, including the theory of the World Revolution while during the Great Patriotic war the people started to return to the deep rooted home values, including the Christian faith. The church official emphasized that Soviet authorities under Lenin, Trotsky and Stalin committed a lot of crimes against innocent people, including the repressions against the clergy and the Church itself. “These crimes must get a duly assessment from our people and we must do everything to prevent these crimes from happening again,” Chaplin said. The attitude towards Stalin is a topic of heated discussion in Russia. 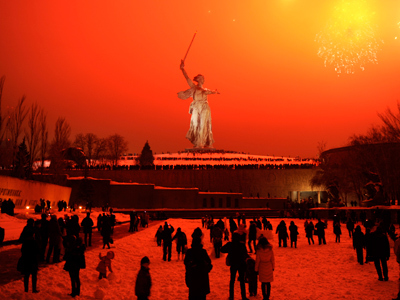 For years activists posted Stalin’s image on buses during Victory Day celebrations and local legislature in the central Russian city of Volgograd renamed the city Stalingrad on major holidays. This move, however got no support at the federal level. 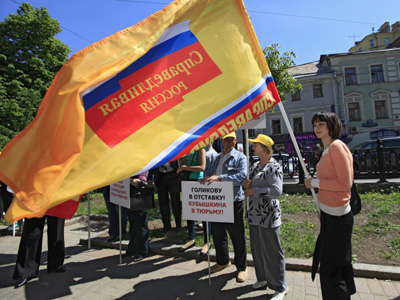 At the same time, a number of NGOs and public movements still demand public condemnation of the Soviet dictator due to his purges and repressions. 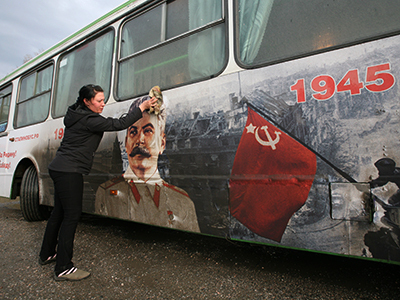 An opinion poll conducted in October 2012 has shown that Stalin’s popularity has grown from the final days of the Soviet Union. 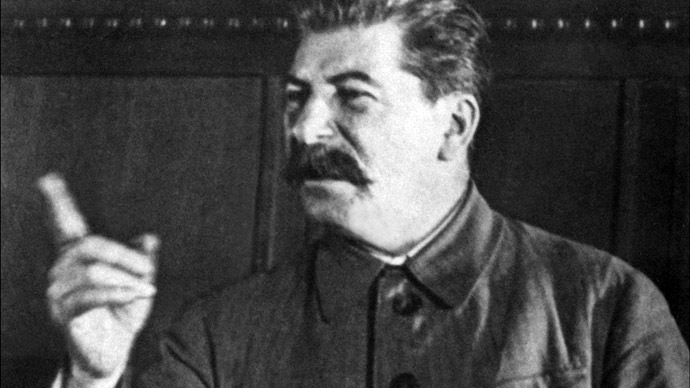 42 percent of those polled called Stalin a person with greatest influence on the history of mankind compared to just 12 percent in 1989. 22 percent of Russians said that Stalin’s role in history was purely negative against 60 percent holding the same opinion in 1989.